Over the past few months, we’ve had several service calls at our home. Those folks used to carry a notebook or clipboard with forms for one of us to sign when their work was done. Now they pull out a mobile phone or tablet. I’m seeing companies of all sizes using software like CRM Runner, a cloud-based customer management tool that was built specifically for service providers such as plumbers, electricians and installers. 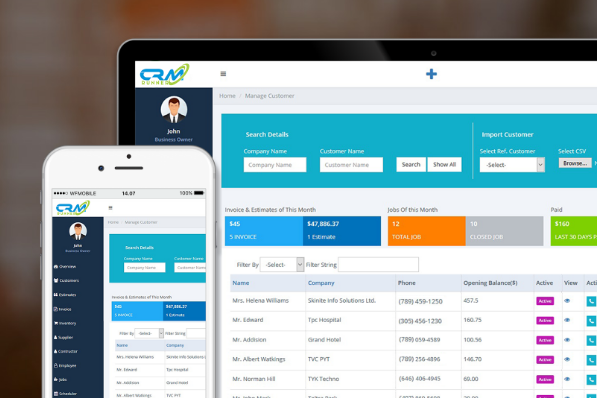 CRM Runner is an affordable platform that offers the same features as most of the expensive platforms. Because it’s based in the cloud, it can work with any device, including computers, tablets or mobile phones. The program supports full communication between a company’s administration and its field operations. It has a scheduling module that tracks where and when the field operations are scheduled and an SMS module that will notify customers when service techs will arrive and advises the field staff when there is a change of plans. Other features include sales lead management, customized estimates, inventory management, and supplier tracking. It will also manage contractors and store their certificates and licenses. CRM Runner costs $15 per month. You can get more information about the service and sign up for a free 15-day trial at the CRM Runner website.